Conveniently located off Trans-Canada Highway. 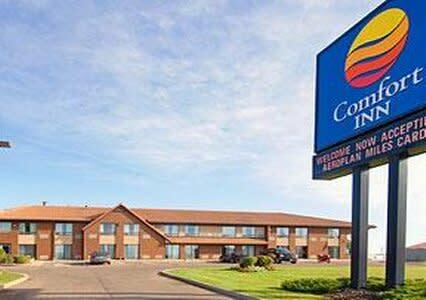 Deluxe continental breakfast, patio door access and minutes from shopping malls, Keystone Centre, airport, museums. Major credit cards. Watch for the yellow airplane.